The Town of Banff provides financial rebates to support residents in choosing energy-efficient and renewable energy components for their homes. The provincial government, through Energy Efficiency Alberta, also provides financial rebates for energy efficient products. The following list shows which rebates are available to Banff residents through the municipal and/or provincial government. This program is fully subscribed and we are no longer accepting applications. We have provided $5,000 in rebates supporting 49 households with the purchase of 94 tires and 3 studded tire kits. Thank you to all who participated in this program. Energy efficient clothes washers save thousands of litres of water each year – saving you an average of $40 per year in energy costs. Installing energy efficient doors in your home reduces your energy use and heating bills. A home energy audit helps you identify areas in your home where you can make energy efficiency improvements to save energy and money. Watch this short video to see how a home energy audit works. Reduce your annual energy use and heating bill by installing an Energy Star certified furnace. Improving the insulation in your attic, walls and basement will reduce your heating costs and make your home more comfortable. 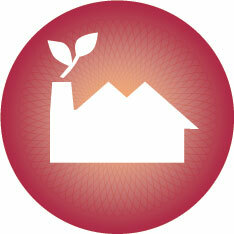 Rebates for insulation improvements are available from Energy Efficiency Alberta. By installing a rain barrel to capture water from your roof, you can harvest rain water to use for watering your plants, conserve water and save on your water bill. Old fridges use more electricity than any other home appliance. Upgrading an old fridge can reduce its energy usage by 30%. Both a provincial and municipal rebate are available for eligible energy efficient refrigerators. A $75 rebate is available for energy efficient refrigerators from Energy Efficiency Alberta. Check for eligible refrigerators and apply for the provincial rebate. Using sunshine to pre-heat your water can cut your annual hot water costs by up to 50%. A smart thermostat keeps your home at an ideal temperature at all times, saving energy and money. A $75 rebate is available for smart thermostats from Energy Efficiency Alberta. Check for eligible thermostats and apply for the provincial rebate. Through the Residential No-Charge Energy Savings Program, an Energy Efficiency Alberta installer will come to your home and install a smart thermostat at no charge to you. Toilets are often the largest source of water use in a home, accounting for 30% of an average home’s water use. Replacing older toilets with new water-efficient ones can reduce water use and water bills. $100 rebate available for purchase of a high-efficiency (4.8L or less) toilet from the Town of Banff. More information on choosing a water-efficient toilet is available from the Canada Mortgage and Housing Corporation, WaterSense and Maximum Performance. Upgrading to energy efficient windows reduces heating costs and road noise, and increases air tightness and the value of your home. Rebates of up to $1,500 are available for the installation of new, energy-efficient windows from Energy Efficiency Alberta. More details on eligible window and how to apply for the rebate. The provincial government is currently offering a program where residents can register to have an Energy Efficiency Alberta installer visit their home and conduct a walk-through to identify potential opportunities for energy-efficient upgrades. These professionals will also upgrade your home to energy-efficient products, and show you how to use them at no charge. This service is available both for homeowners and those who rent their home. A list of Energy Star certified products is available from Natural Resources Canada. Home Efficiency Tool – Use this app to discover how much power and money you can save by upgrading lighting, electronics and appliances throughout your home (Energy Efficiency Alberta). Learn About Lighting Tool – Learn about the differences among LED, CFL, halogen and incandescent bulbs – and which is best for your home (Energy Efficiency Alberta). To apply for Town of Banff residential environmental rebates, please complete and submit the Residential Environmental Rebate Application (PDF). If you're unsure if the appliance you are considering qualifies, please contact Planning & Development at 403.762.1215.